PC and console games have been battling for supremacy for as long as both have existed. From the old NES classics to demanding MMORPGs, the fight between the two platforms of gaming has been tough. Despite this, PC gaming will never decline for good. The reason is that there are just things that gamers want that consoles can’t provide. Most popular consoles don’t support independent games. Just recently, Nintendo decided to open its doors to new developers in their Switch store, and they are the only business that has done so. Uploading indie games to platforms like Steam is quite easy. The benefit of this is that it opens a wide range of games not available to console only players. Sometimes they are arguably just as good as AAA games. The required specs for some games are quite high, which means you need a more demanding, and expensive, PC. However, the thing that sets this apart from consoles is that gamers have the ability to upgrade. For example, a game with high specs can still work on a cheap PC. 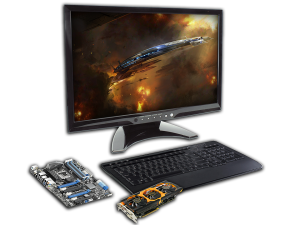 Finding the right parts to upgrade it is pretty simple by searching online. Console, however, prevents you from easily upgrading it besides adding storage space. One would have to wait several years to have the option of buying a new console to support new games. Despite all this, it’s still possible for PC games to be on the decline at times. For the most part, everybody needs a computer for something. More homes will already have PCs than consoles. However, when a new console is released, most gamers get hyped and will spend more time on the new console. At this time, the console will definitely have higher specs than the previous model. Of course, that would make things more exciting. However, it creates a loop as at some point the specs will not be enough, and an upgradable PC is needed to support new gaming habits. With the release of new consoles, PC games will experience a decline. They will rise again, though, and the cycle will continue. The fight between the two gaming platforms will probably always exist as new games require new performance demands. Fortunately, PC games will never decline for good, so gamers don’t need to worry. 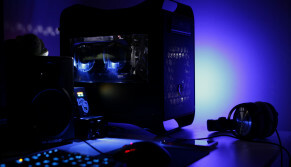 If you’re looking to upgrade your computer to play all the latest games then talk to a computer expert at CyberCall Computer Repair Bristol who can help you with a PC upgrade to the specs you need.